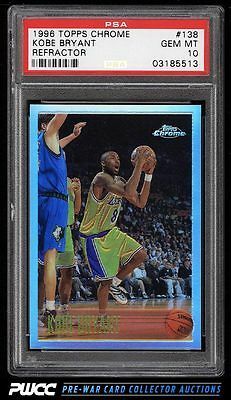 The single most important Kobe Bryant rookie in the hobby and highly desired in GEM MINT condition. Kobe has wrapped up an amazing career and is widely considered one of the best player's to ever play. The offered '10' boasts four pin-point sharp corners, attractive centering and clear registration. The surfaces are free of any refractor lines. An all around beautiful card which is deserving of attention. One of nearly 20,000 cards, lots, and sets up for bid in our 7th Auction of 2016. Click on the link above to view the other PWCC auction lots.